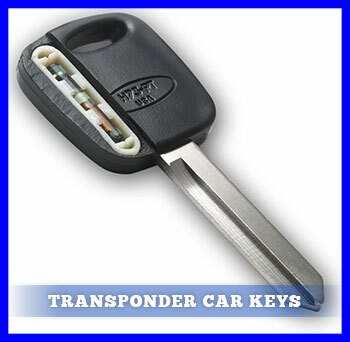 Transponder car keys, often called electronic keys, are keys which contains a small microchip that communicates with a component in your car called an immobilizer. The key sends a weak radio frequency to the immobilizer that then allows the vehicle to start. When the key is removed from the ignition, this part engages and prevents other keys from starting your vehicle. It also prevents the vehicle from being hot-wired. The chip communicates with the transponder, disarming it as the key is turned, allowing your engine to start. These keys are essential in slowing the theft of vehicles and provide an extra layer of security. Most vehicles manufactured after 1995 include a transponder car key as part of security packages that are now an integral part of the car. These transponder car keys are often presented with a key fob that is also programmed to help maintain your car's security, but also offers some convenience. For example, these allow you to turn off an alarm that may have been triggered in your car simply from a loud stereo bumping by. Being able to simply point and push in these circumstances is invaluable, especially when you are already settled in for the night. These transponder car keys and key fobs are programmed to reach distances of about 30 feet, so if you are parked further, sorry you have to put on your robe and slippers for middle of the night false alarms. Sometimes the key fobs that can turn off the alarm, unlock doors, roll down windows, open trunks, open third doors and electronic sliding doors are mistaken for transponder keys, which is understandable as they accomplish many tasks regular keys once controlled. A transponder car key looks like a regular key except that the top of the key will be covered in plastic, normally black. The plastic will be thick enough to encase a transponder key chip. If you aren't certain as to whether or not your key is a transponder key, a simple test will help you determine if your key is a transponder car key. Simply wrap the portion of your transponder key that is covered in thick plastic in several layers of household aluminum foil. If your car doesn't start, you can be reasonable certain your key is a transponder key. The advantage of having a transponder car key is clear; without the chip, the vehicle won't start. The added layer of protection helps to ensure that the car remains exactly where the owner parked it. Even if a key fits the ignition, without the radio signal triggered by turning the key, the immobilizer won't be disengaged and the vehicle will not start. So what happens when these keys are lost, damaged or stolen? Since they contain sensitive programming, the last thing an owner should do is nothing. 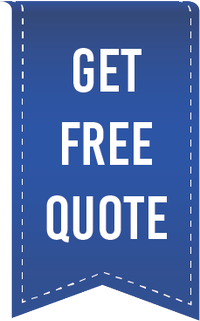 It is vitally important to get your trusted locksmith at American Local Locksmith on the job immediately to replace the transponder key and ensure programming is correct.